Another trip, another TripTik! This really may be one of the best parts of a road trip. This time I’m Montana bound. It’s been 10 years and I can’t wait to absorb that Glacier National Park magic. I had to go non-traditional this time. 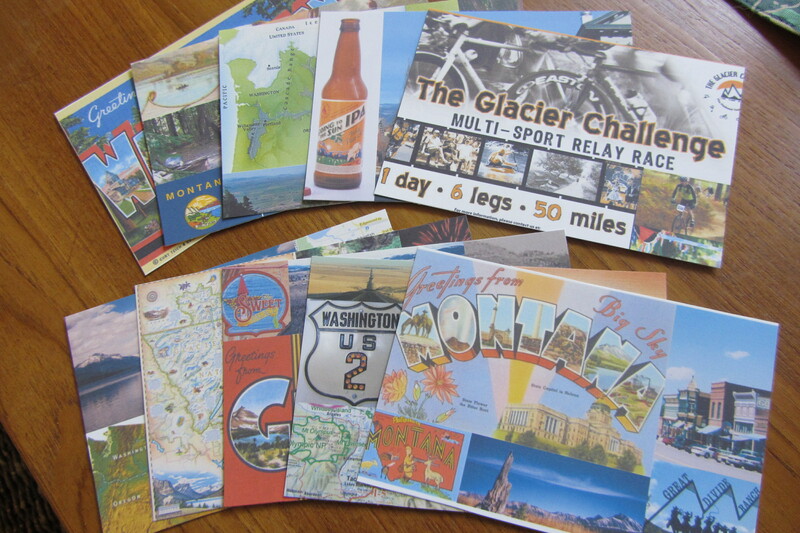 I used our organization’s brand inspiration – the vintage postcard set as my starting point. 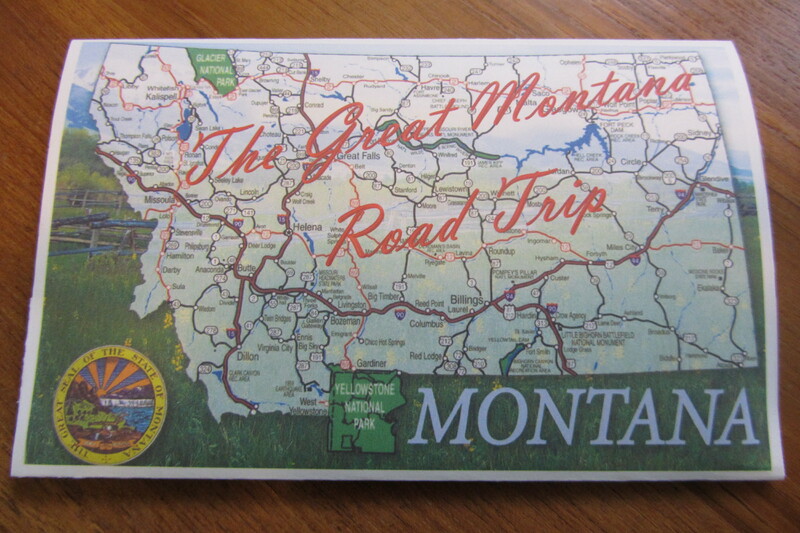 One postcard per day with photos, maps and other images I collected over a couple months. And I love the backs. 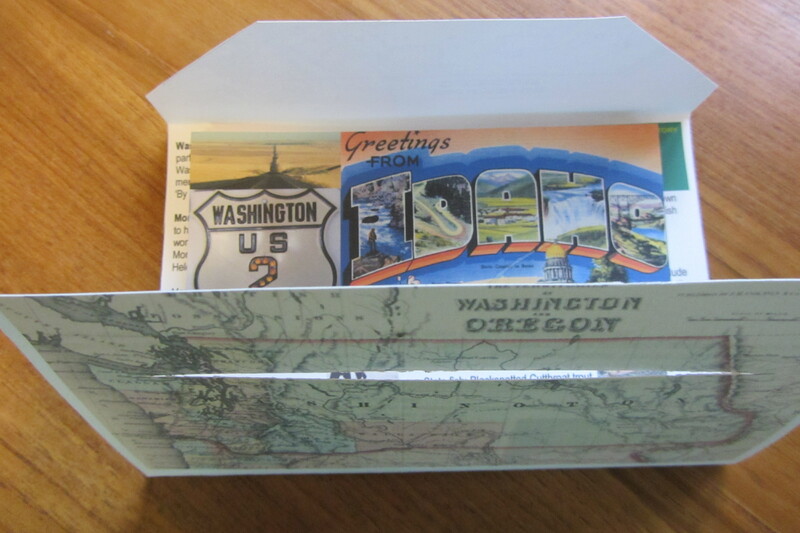 It might be the simple part, but that classic postcard feel makes me smile every time. What really makes me smile is that in a day and a half I get to put this to use and start adding trip notes to the postcards! 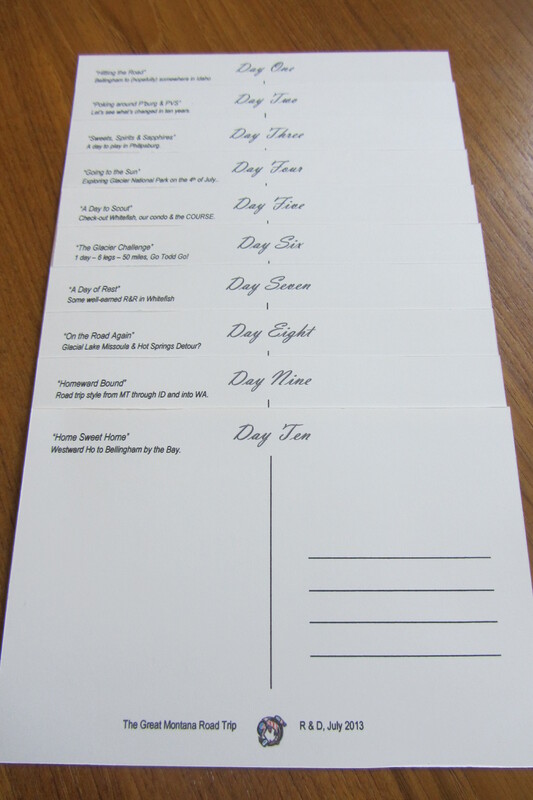 And… may favorite part – the backs. 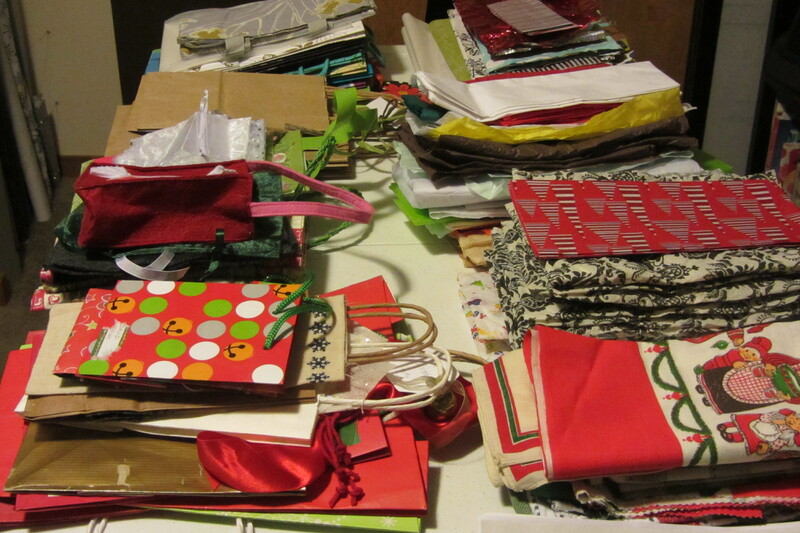 I went on a bit of a manic organizing spree during my days off between Christmas and New Year’s. I emptied and re-organized all my kitchen cupboards and my linen closet. And both make me smile now whenever I open them, yes I’m an organizing dork. 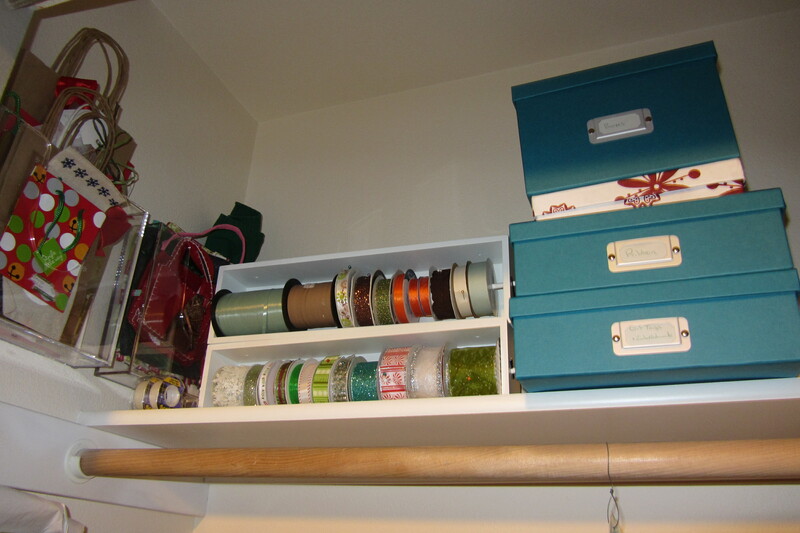 Yup, all that was crammed onto the top shelf of the linen closet. And stuffed into a few other nooks and crannies – it was definitely more than I thought I had. 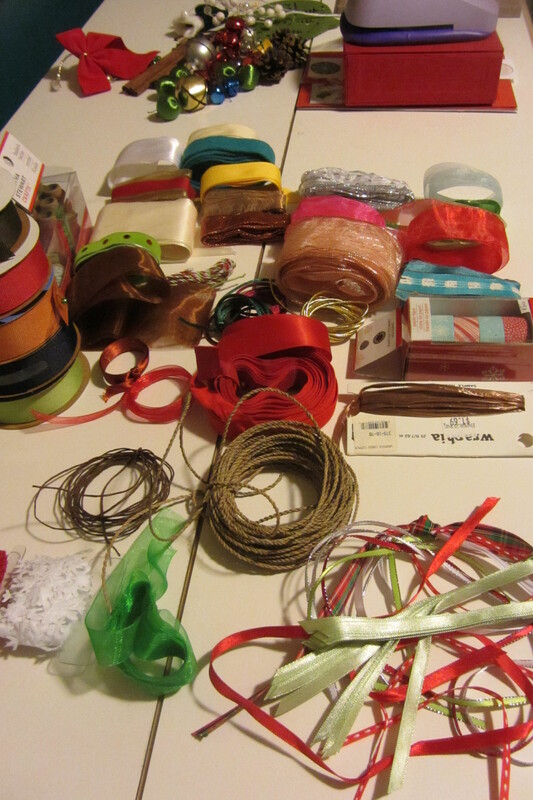 Next up, the ribbon, gift tags and other embellishments. 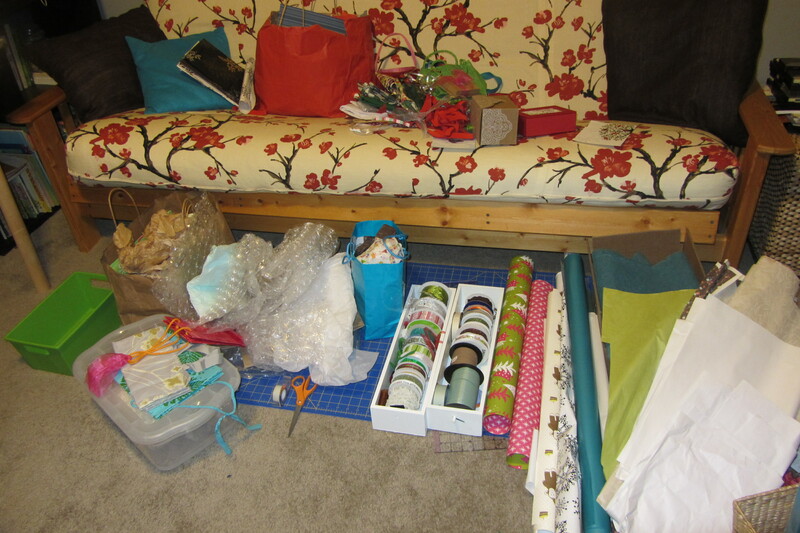 I started by corralling the wrapping paper at the bottom. Then I hung and filled all the magazine racks (these make me really happy). 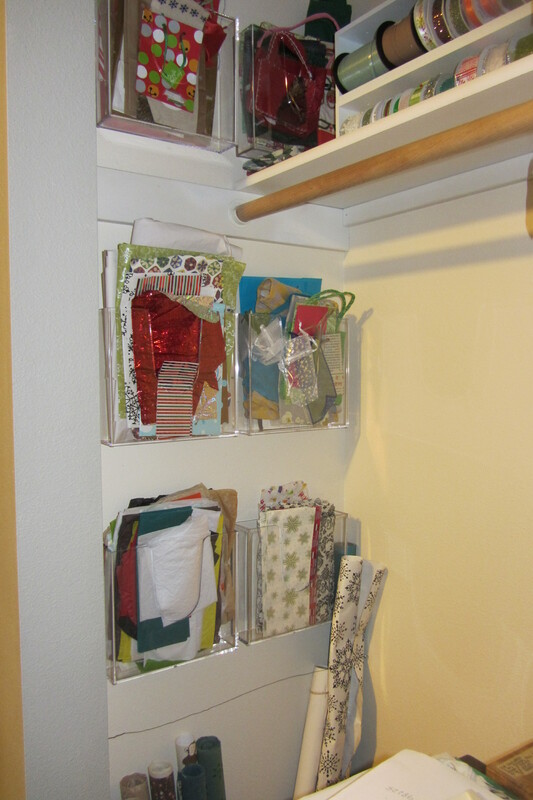 And finally the ribbon went on the shelf along with boxes of neatly organized small boxes, ribbons and gift tags. The best part about my new set-up is that it’s using that side wall in my closet, so except for some of the space on the top shelf I didn’t need to use any part of the closet that was already being utilized. 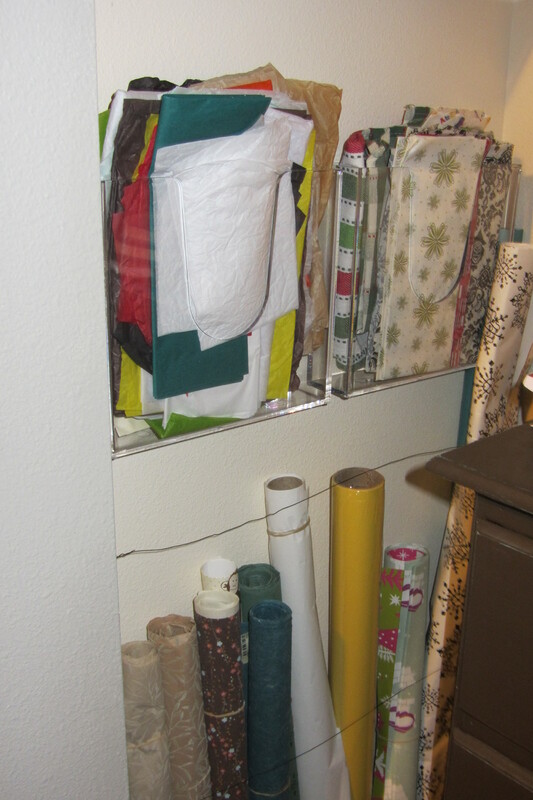 Gift wrap on display and a new storage nook made this a very fun project. Remember the old AAA TripTiks? I’m pretty sure that’s where my love of maps, navigating and playing tour guide came from! 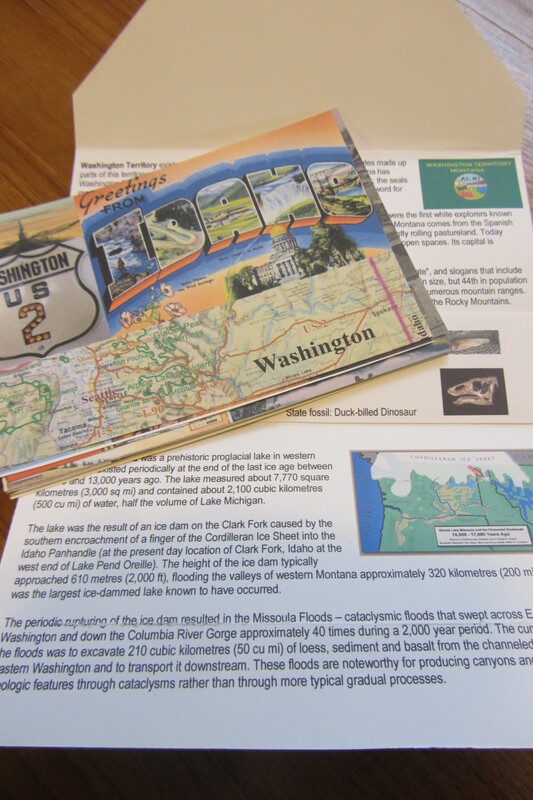 They were one of the highlights of a road trip… tracking all the mileposts, getting ever closer to turning to the next page… Oh, I loved them. Seems I wasn’t the only one since they’ve come up in a few conversations lately. And provided just the inspiration I needed to embrace my inner travel nerd. 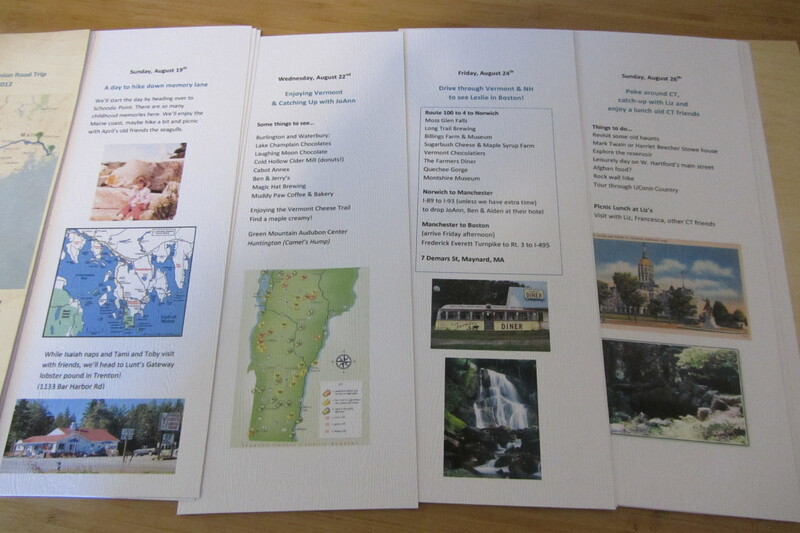 I have a trip to New England coming right up but since a lot of the initial prep (flights, lodging, basic dates, etc…) had to be done months and months in advance and I’ve been busy with other things I was having a hard time getting back into prepping for this trip. 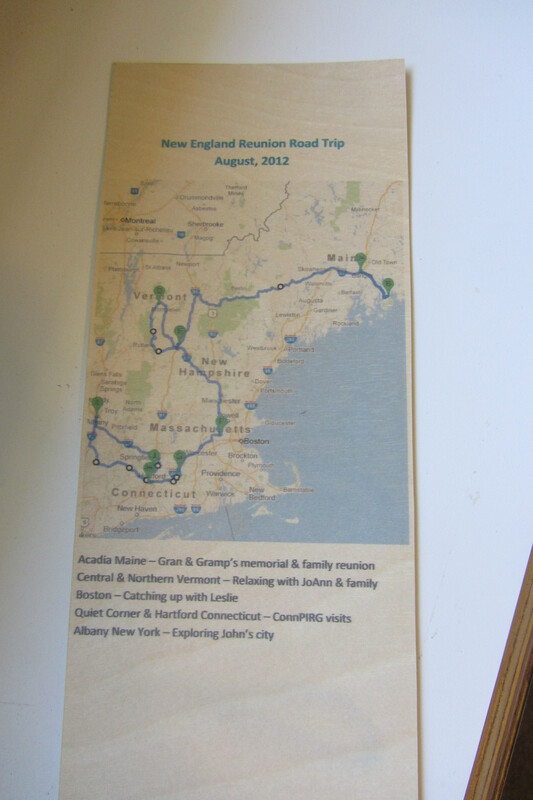 I didn’t want to miss a good trip planning opportunity (after all this one comes with 6 states, staying in five different towns with multiple family and friends and an unlimited number of things to see and do). I decided what I needed was my own personal TripTik for the trip. I decided to do one page for each day of the trip. 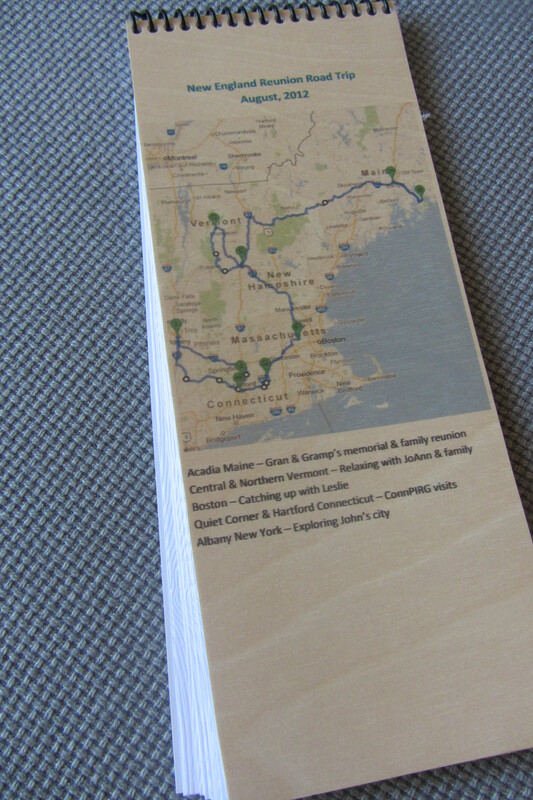 These include contact info or flight/driving info when needed, ideas of things to do and a few photos to capture the feel of that place. My hope is that having one page per day will help me to focus on enjoying that day instead of thinking ahead to what’s coming. 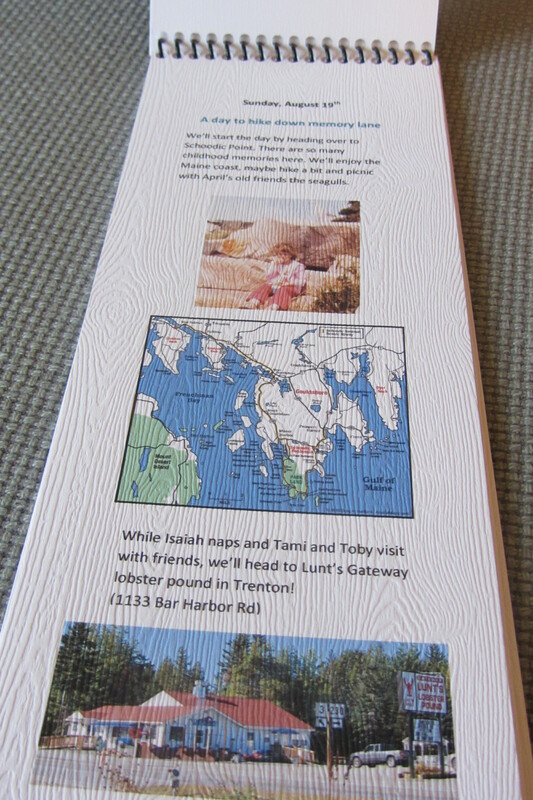 Not that you can see it here, but I found this really fun white paper with a wood-grain design. And that meant I could finally use the wood veneer paper I’ve been coveting for something! I knew it would make the perfect cover. Ok, now you can see the wood-grain paper. Perfect for the woodsy Northeast I think. And… the final product that I have to say I’m in love with. Needless to say all this TripTikking has me excited about the trip again. Good thing I leave in a couple of days!